I probably won’t get around to answering your cards this year, again. Sometimes I have sent New Year’s cards. Or Valentines. Or St. Patrick’s Day cards. Instead, here is a list of resources that are helping me face 2019. I am also led to discover, and embrace, the work of Julia Cameron. Known for founding The Artist’s Way, Cameron recommends — nay, requires — those pursuing creativity to write “Morning Pages,” three pages written in the morning, first thing, to clear the addlement from one’s brain. I found my first Cameron book in one of those “free libraries” on the street in DC in October, and it has taken me this long to convince myself it might work. For the evening, I am trying to use a journaling system called Vertellis Chapters, This “mix of mindfulness and stoicism practices” is a Netherlands-based journaling system (the Dutch are so smart!) and I found it at my favorite shopping spot – online. Then, my old favorite, is the Upper Room Disciplines. a book of daily devotions based on the lectionary — the Bible passages read throughout the Christian church. So often, that commentary, that scripture, speaks to a current sadness or gladness of the day. My small group at PrincetonUMC, the Monday Morning Group, uses these readings for informal study. Am I reading these, writing these, studying these consistently every day? No. George was a habit-driven person and I am the exact opposite. He did exercises daily without fail. When it comes to doing exercises daily, I mostly fail. But I am trying to create these habits. And I feel led to share them with whoever is out there, just as Jenny, Ginny, Gerri, Aimee, Anthony, Ineke, Judi, Mary Lib, Pat, Deborah, Susannah and so so many more have shared their inspirations with me. Ask yourself, when you interact with a stranger from another race or background, whether you have treated them as you would a friend. “Interracial distrust does capture something missed by the word “racism.” Most of us use the word “racism” to denote the antipathy of white people to people of color. Though the word can equally well denote negative feelings that flow in other directions, we tend to restrict it to the attention “white” people pay to “colored” people. 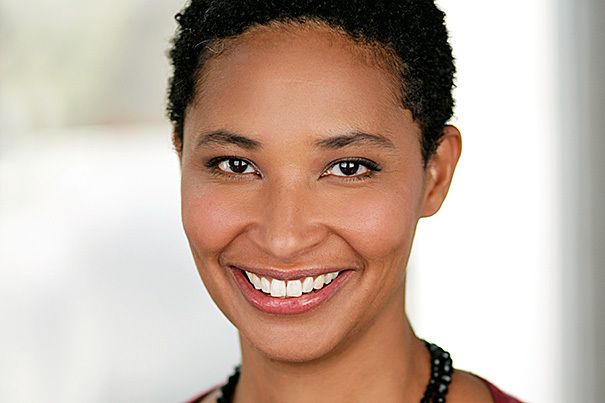 Danielle Allen, a renowned author and co-editor, is currently at the Institute for Advanced Study but will soon leave Princeton for Harvard to be a professor and direct the Edmond. J. Safra Center for Ethics. aiming to guide the center in a post-Ferguson direction. She is chair of the Pulitzer Prize board, among other honors. Her topic for Thursday: Pursuing Happiness: What the Declaration of Independence Has to Teach Us About Human Flourishing. 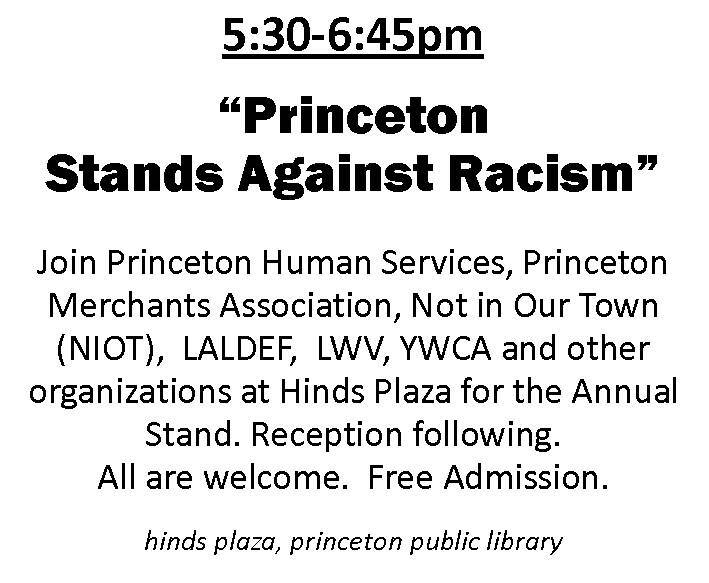 The exact same kind of intercultural conversation that Allen espouses — it takes place in Princeton on first Mondays at the Princeton Public Library. Continuing Conversations on Race is March 2 and April 6 at 7 p.m.
Everyone is a racist at heart, says Kareem Abdul-Jabbar in Time Magazine (5-14-2014). Click on I, Too, Am Princeton. If you look at the first photo, you can’t NOT page to the end. Please look, please think. Here is the transcript, and here is the summary article, courtesy of Michele Tuck-Ponder. BF. The Massey quote came from “And don’t call me a racist! A treasury of quotes on the past, present, and future of the color line in America,” selected and arranged by Ella Mazel, Argonaut Press, available free for download here.